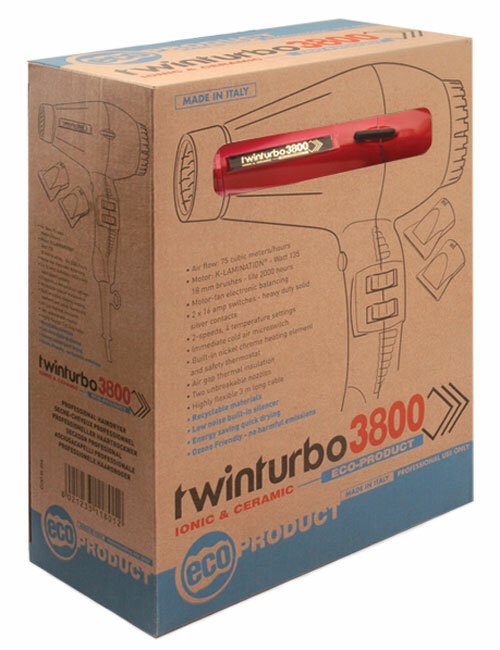 Numerous tests conducted in the salons of top hairstylists world-wide have allowed Turbo Power’s designers to come up with a professional hairdryer of just the right size for the demanding professional. 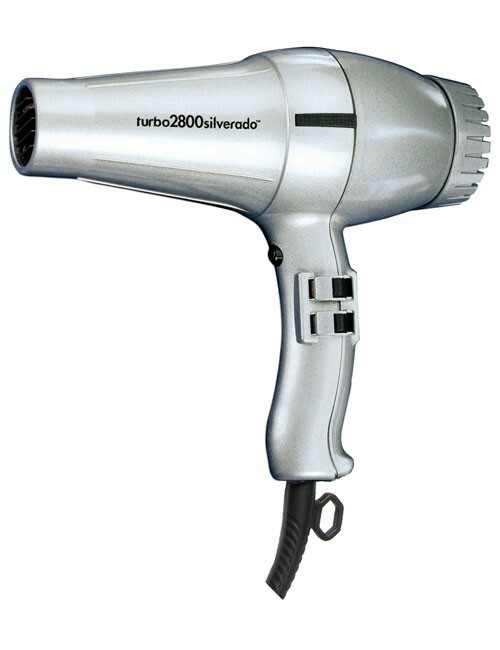 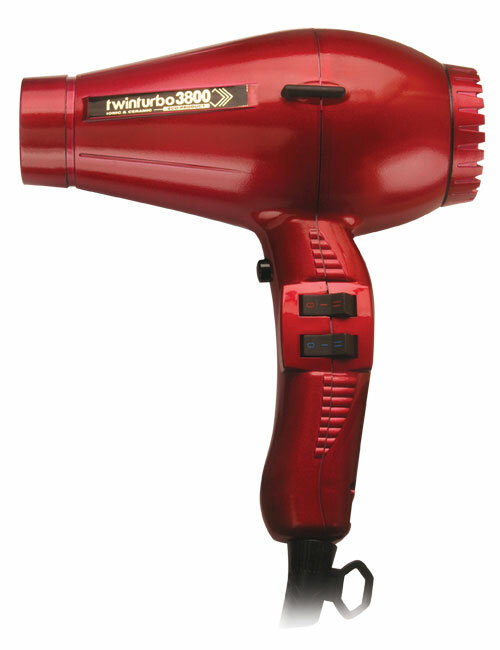 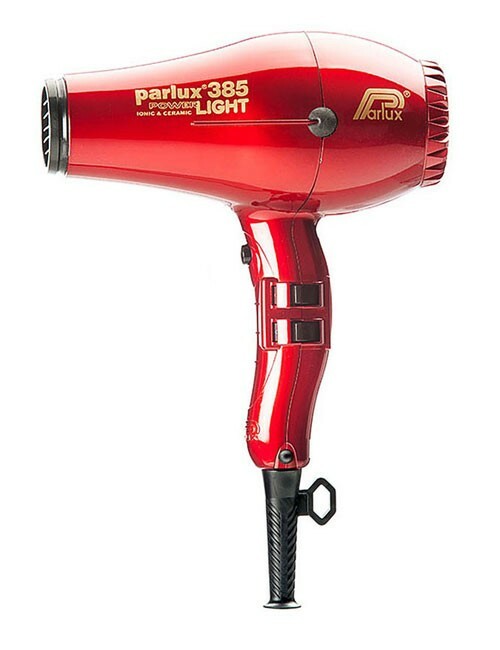 The new Eco-Friendly Turbo Power 3800 includes a sophisticated “patent pending” built-in silencer designed to reduce noise so that professional stylists can use the dryers for hours without bothering their clients or themselves. 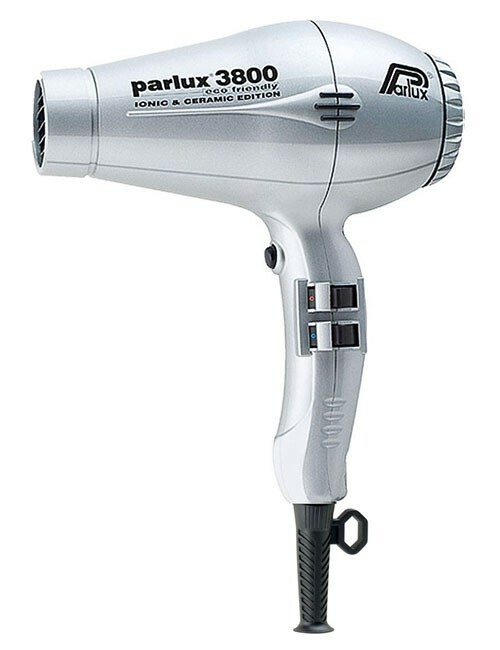 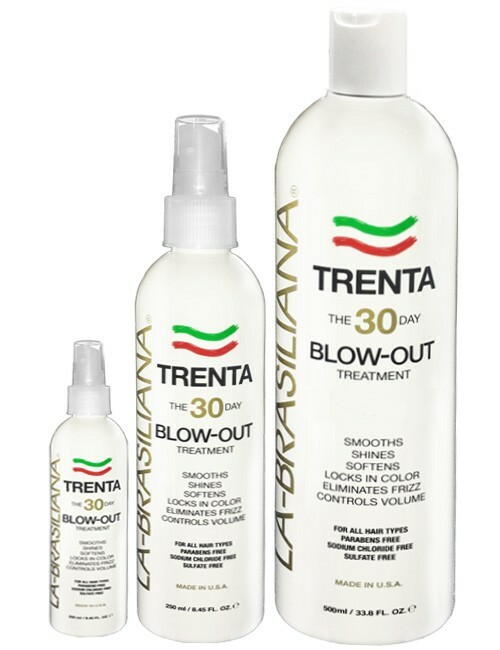 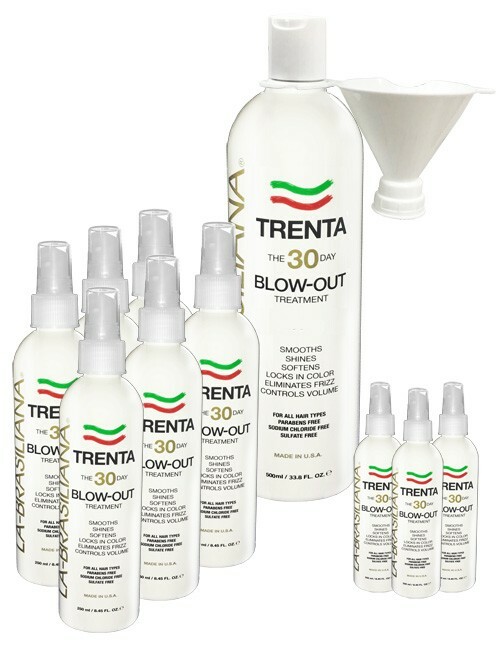 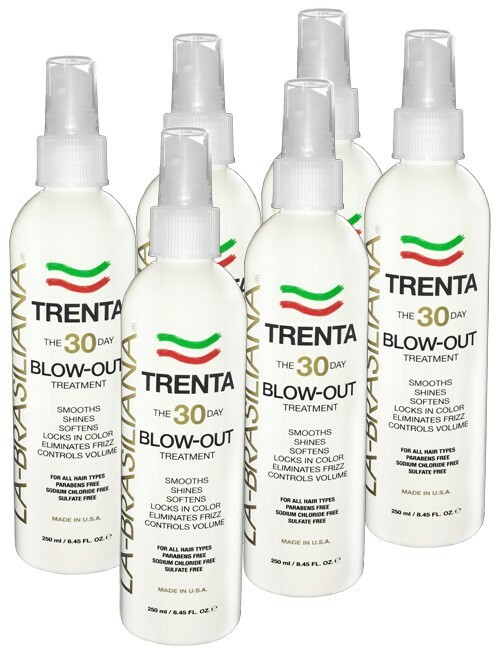 Emission of negative ions, now essential for hairstyling, is guaranteed by the proven ionic & ceramic system, offering a natural “healthy” function to leave hair soft and shiny. 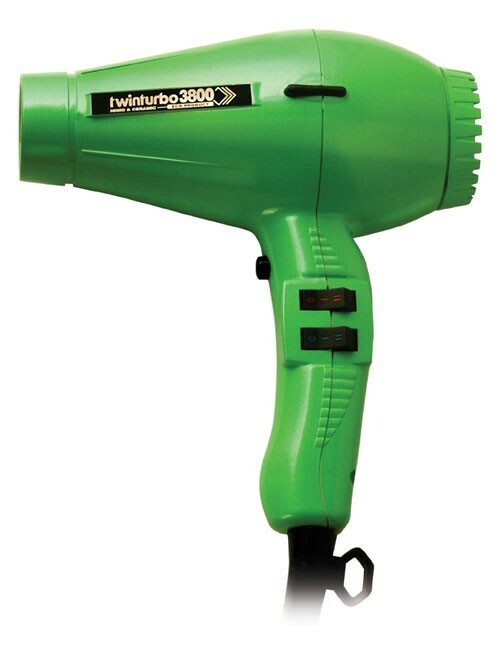 The new Turbo Power 3800 Eco-Friendly dryer embodies all the features that make Turbo Power dryers world renowned for durability, power, ergonomic design and reduced operator fatigue.